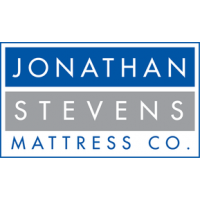 Kingsbury | kingsbury | Plush Mattresses | Jonathan Steven Mattress Co. 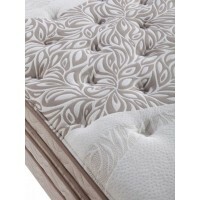 If you are looking for the very best in luxury, comfort, support and durability, this pillow top mattress—the flagship of our line—is for you. We take our best continuous coil, ComfortFlex Innerspring support system, and add our exclusive all steel side support system. We top the unique support system with a double layer of insulators to prevent the softer cushion materials from wearing their way into the springs. 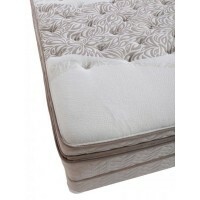 This will give you a longer-lasting, more durable mattress. 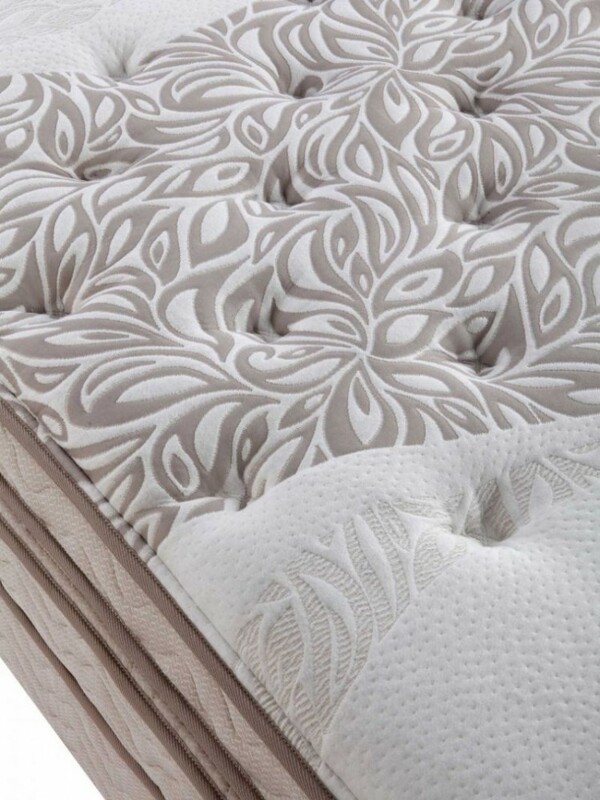 We then place a very high-density topper pad over the insulators, and close this up with a quilted inner panel to secure everything for a strong, comfortable mattress. 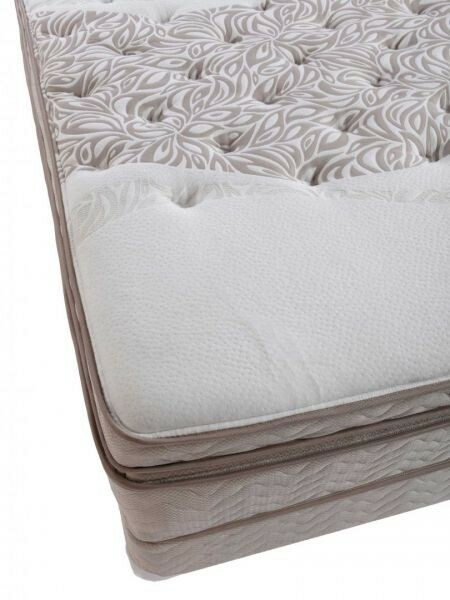 This mattress is the plushest mattress in our lineup and features a 4” pillow top with layers of plush 4.0# density Latex and layers of ultra plush 2.4# high-density polyurethane. This combination gives you the ultimate in pressure relief. There is simply no other mattress that compares. 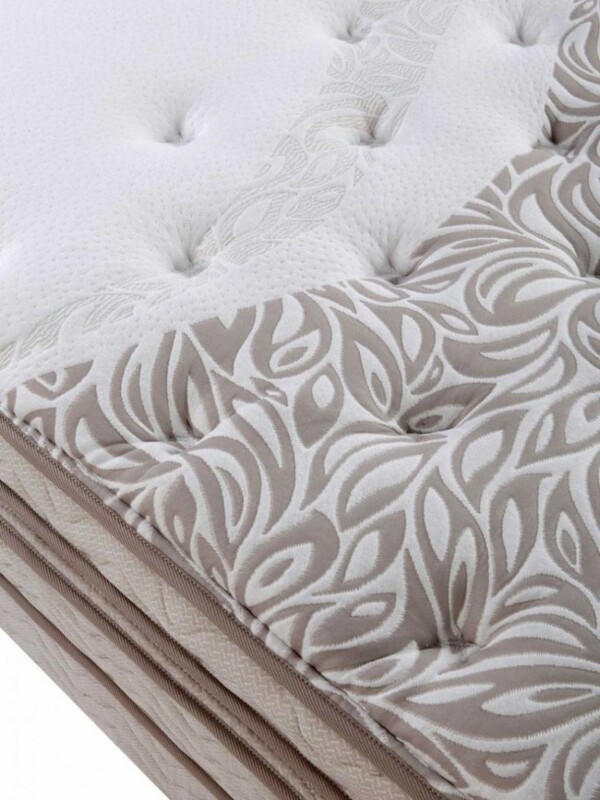 We finish this exquisite mattress with more high-density, high-quality foams quilted to a luxurious cover that will invite you to a great night's sleep. More information here. 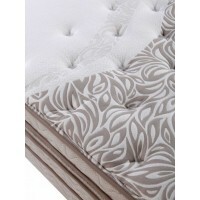 Sumptuous quilting and padding layers, including pure latex, make the Kingsbury our softest and most luxurious mattress. Comfort is a key ingredient in a good night's sleep. Settling in to the plush pillowtop, you'll meet the slight bouyancy of pure latex with even distribution of pressure to prevent pain in parts of the body where peak pressure can occur (shoulders, hips, heels) and guarantees good blood circulation. Latex offers excellent temperature regulation (not too warm, not too cold) and moisture control (evaporation of perspiration) perfectly tailored to the sleeper. Our ComfortFlex unit utilizes the latest technology in high tensile strenghth wire, so that weight and pressure is passed off to as many coils as needed. This means our unit adjusts to each sleeper, giving individualized comfort and support. Support is the next ingredient in healthy sleep. Your muscles and tissues rejuvenate when you remain in deep, restorative sleep, which happens when your body is properly supported. Comfort gets you to sleep, support keeps you there. Our poly foams are tested and pass CertiPUR-US® standards. When you see the CertiPUR-US® seal, you can be confident that the flexible polyurethane foam inside has been rigorously tested and certified by an accredited laboratory to meet specific criteria for physical performance, content, indoor emissions and environmental stewardship. This set is approximately 25 inches tall with a standard height 7.75” foundation. A low profile foundation (approximately 3 inches lower) is available at no additional charge.